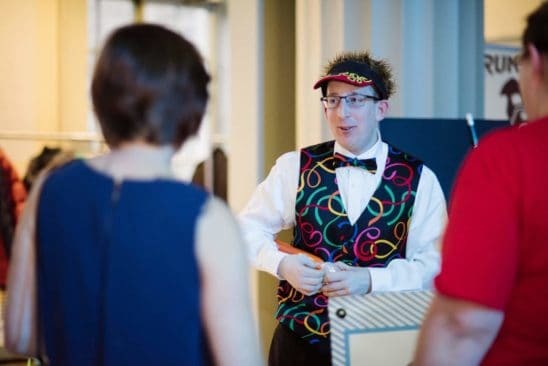 Jonah is determined to go above and beyond to make your event special. 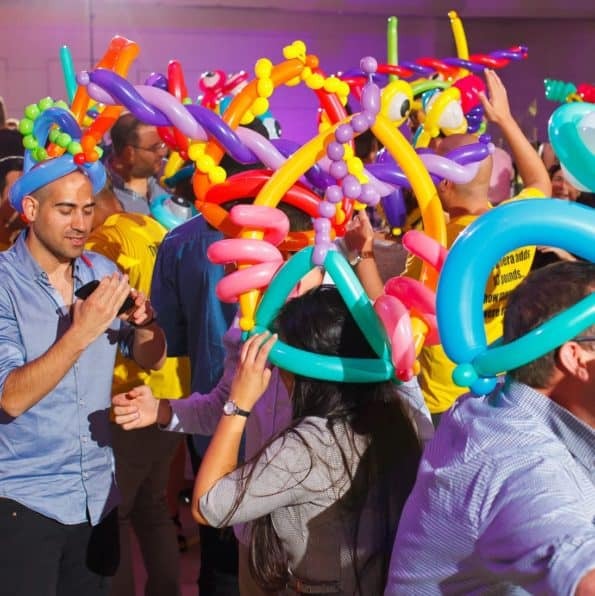 From connecting you to other local entertainers to delivering hand-designed balloon creations, he can transform your event from routine to remarkable! Take a look at a gallery of his past work, then call to discuss your ideas. Do you want to make your dance floor the place to be? Well, now you can with the amazing dance floor experience. This entertainment will not only have your guests excited and dancing. Does your company have a cocktail hour at the end of the workweek? 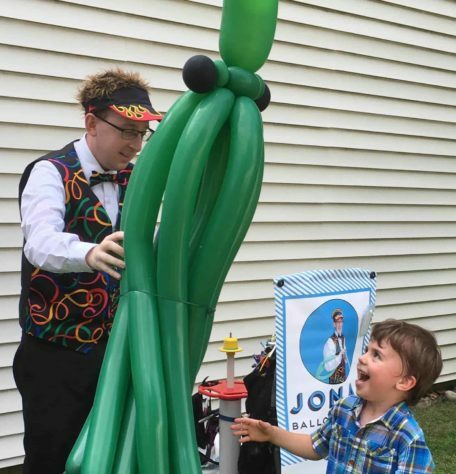 Well, Jonah has entertained at several company social hours and can make yours amazing. Guests can ask Jonah for anything and he will try his best to make it. Guests enjoy trying to stump Jonah. When you’re busy planning and executing the other elements of your personal or corporate event, allow Jonah to deliver your centerpieces or other decorations. Jonah has worked on sculptures of all sizes. 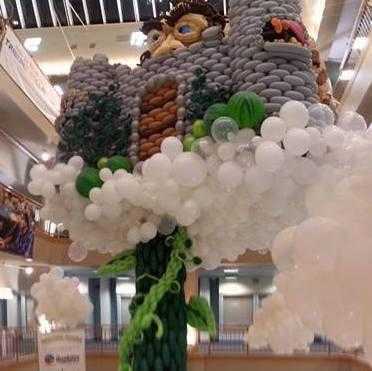 Jonah also offers a balloon twisting workshop that teaches the students how to make their own balloon sculptures. Jonah shows some techniques and then lets the students make their own creations. Jonah is developing an instructional kit that will go along with the workshop. If you are looking for something else, we have a network of various other services that we can provide. 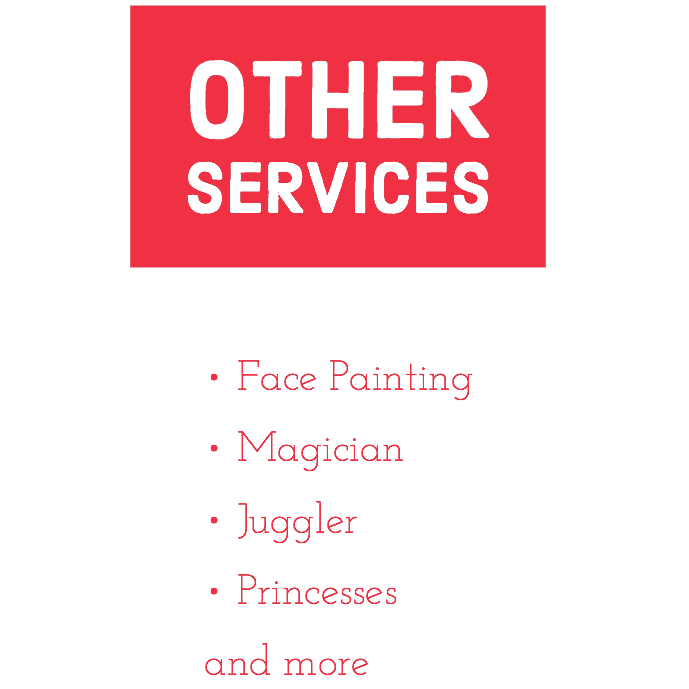 Those services include princesses, face painters, clowns, stilt walkers, magicians, and more.